Eight seems to be the magic number for Improving this year. This August, we found out that we made the Dallas Morning News Top 100 Places to Work for 2017 for the eighth time out of only nine possible years! This year, we ranked #8 out of 35 companies in the midsize category. Improvers celebrating 8 years on the DMN Top 100 Places to Work. 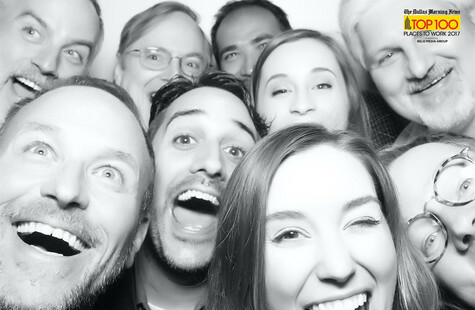 The DMN Top 100 Places to Work list recognizes organizations that are champions in "providing nurturing environments, offering rewarding work and having a lot of fun in the process." The rankings are determined by the people who know the companies the best, the employees. A few months before the finalists are announced, employees are invited to take an anonymous survey about their experience working with their company. All 100 winning companies are invited to attend the awards ceremony to find out the final rankings. 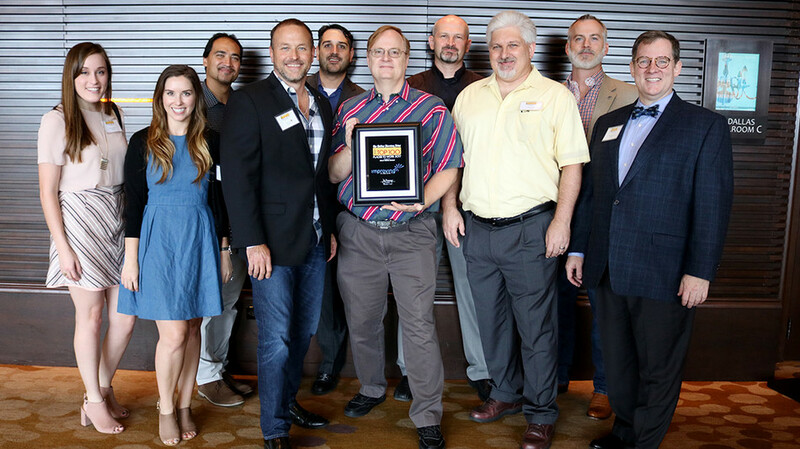 A group of ten Improvers made their way to the luncheon at the Omni Dallas Hotel on November 17th to celebrate this win. The luncheon featured a keynote from Nina Vaca, a local entrepreneur who is a warrior for the aspirations of women and minorities. The afternoon was filled with a delicious lunch, celebration and fun photo ops, including a photo booth and a mock red carpet complete with cardboard "paparazzi" snapping pictures. 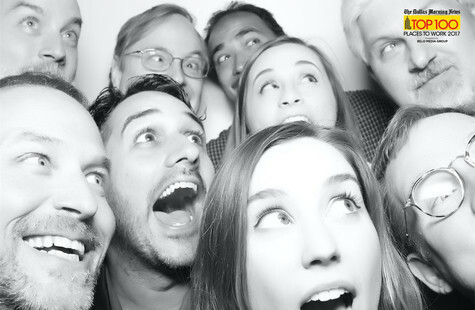 And let me tell you, fitting ten excited Improvers into one photo booth is a feat. We are thrilled to be featured on this list once again with many other companies who share the commitment to making a great place to work.